Boy meets girl. 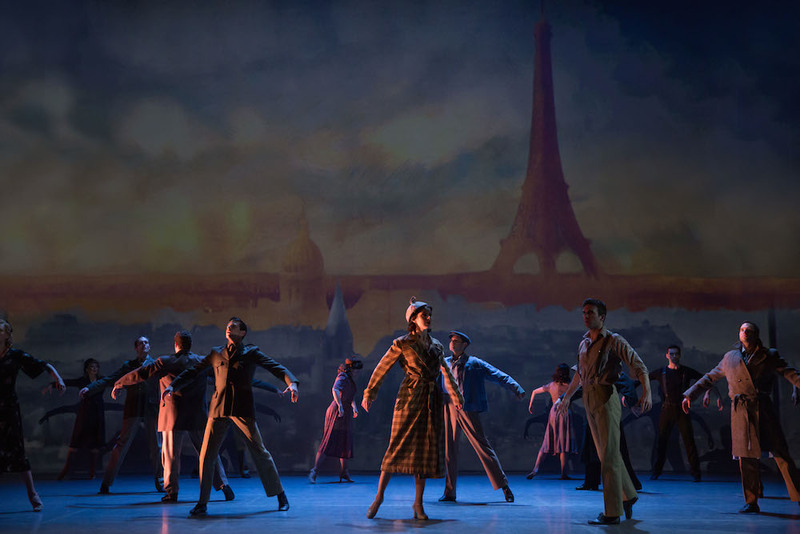 Actually, three boys meet girl in An American in Paris—the spectacular new musical now playing at the Palace Theatre. 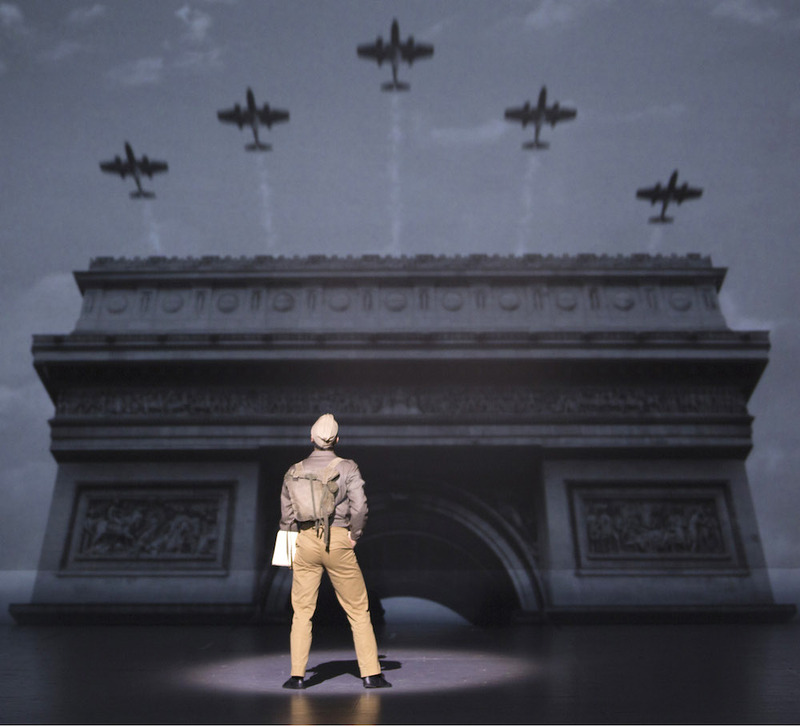 Directed and choreographed by Christopher Wheeldon, the story follows Jerry (Robert Fairchild), a World War II vet and exuberant ex-pat who has stayed in Paris to pursue his passion of becoming an artist. He meets Henri Baurel (Max von Essen), a wealthy Parisian who dreams of becoming a nightclub singer; and Adam (Brandon Uranowtiz), a scrappy American composer also trying to find his way in the City of Light. Through a series of events, each man encounters Lise (Leanne Cope), a beautiful young ballet dancer, and the game is on to see which one of them will woo her heart. Meanwhile, Jerry is taken under the wing of art benefactor Milo Davenport (Jill Paice), who hopes that his brushstrokes go beyond the canvas. With just enough plot to keep things interesting, An American in Paris is an absolute visual feast from the moment the house lights dim. Wheeldon, known as a ballet dancer and choreographer and more recently as artistic associate of the Royal Ballet, brings a new level of dance to the Broadway stage. 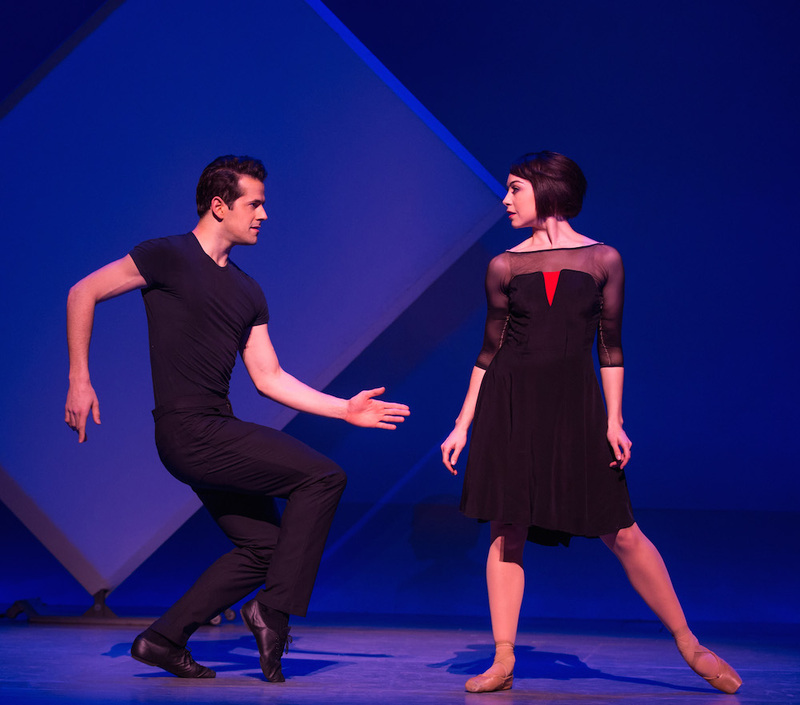 Though the season is filled with somewhat creaky revivals of mid century musicals like On the Town and Gigi, An American in Paris is in a class by itself. Wheeldon draws inspiration from Jerome Robbins, Bob Fosse, and the film’s original star and choreographer Gene Kelly, yet the work feels entirely fresh and relevant. Given his credentials, audience members might expect no less, but what may surprise you is his nuanced direction of Craig Lucas’s book, which delicately treads on themes like the after-effects of the German invasion on post-war France, homosexuality, and class systems. 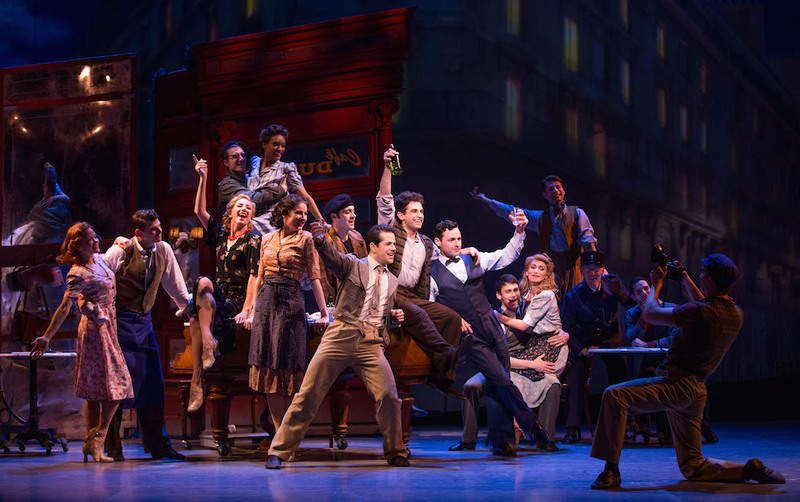 Bob Crowley’s sets and costumes, along with lighting by Natasha Katz and projection design by 59 Productions, deliver a Technicolor design that seamlessly transforms from the streets of Paris to a myriad of locations. Skylines swoop in at dramatic angles, mirrors dervishly whirl in every direction, and forced perspectives offer whimsical backdrops for the eye to wander. The second act ballet (which served as inspiration for the original 1951 film) offers visual references—at least to this reviewer—of French geometric abstract painters like Auguste Herbin and Robert Delaunay and you may, for a moment, feel like you’ve been transported to MoMA. Wheeldon asks the impossible of his cast: to deliver triple-threat performances that transcend dancing, singing and acting, and they deliver in spades. As Jerry, Fairchild is perhaps more boyish the Gene Kelly’s celluloid performance, but nobody can deny his radiant smile, pleasing tenor voice, and effortless yet athletic dancing. Leanne Cope plays the coy ingénue, but catch her raised eyebrow or flicked foot (en pointe, no less) and it’s clear that she delivers depth of character and just a hint of naughty. The supporting cast and ensemble each have their shining moments, including von Essen and Uranowitz’s surprising tap capabilities in “I’ll Build a Stairway to Paradise” as well as Paice’s haunting rendition of “But Not For Me.” With music and lyrics by George and Ira Gershwin, the cast is playing in the sandbox of some of best music from the American Songbook ever written. Chassé your way to An American in Paris. 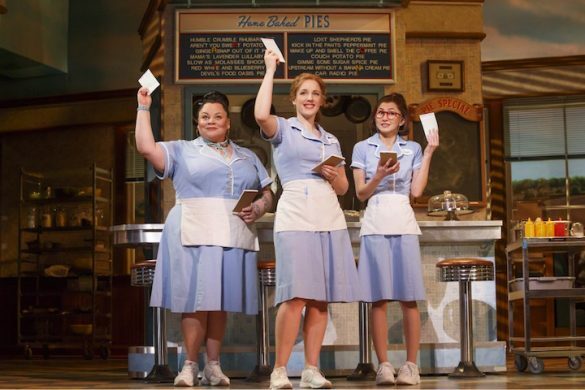 It is the kind of show that makes people dream of an evening at the theater. Fortunately, this dream is a reality. 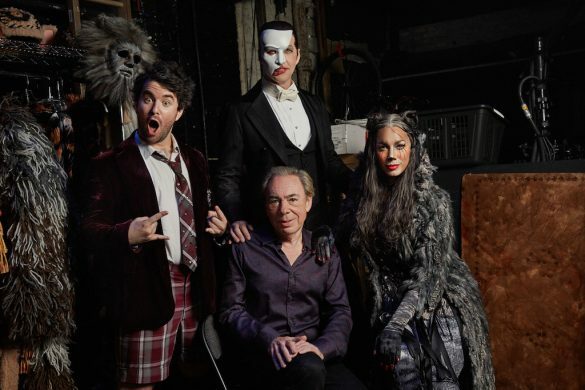 Matthew Wexler is The Broadway Blog’s editor. Follow him on Twitter, Facebook and Instagram at roodeloo.